Need to trim branches from trees several feet in the air? Tired of using your bulky ladder? A telescoping pole saw is a solution. Designed to make reaching and cutting high branches easier than ever, telescoping pole saw allows you to get your job done easily and quickly. A must have tool for anyone who needs extra reach and pruning power. Finally, a professional, aluminum telescoping pole saw that allows you to remove branches from those trees easily. The Silky 179-39 Telescoping Landscaping Pole Saw has aluminum alloy extension poles that are oval shaped to provide precise control over the direction of the blade and to give strength and rigidity to the pole. 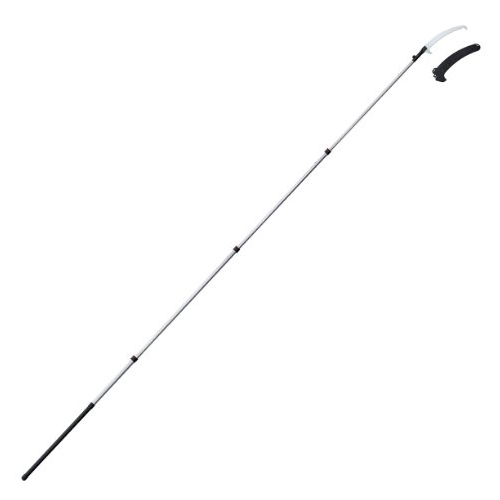 The base pole features a pole-end shock absorber and comfortable rubberized over grip to ensure firm hold and control. Blade is adjustable to two different angles for lower or higher cutting. A perfect tool for the toughest pruning jobs. 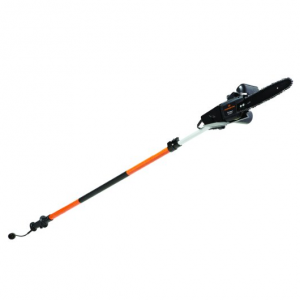 Make cutting overhanging limbs and thin logs easier than ever with the Sun Joe SWJ800E Telescoping Electric Pole Chain Saw. This pole chain saw is powered by a robust 6.5-amp motor and is able to handle the most stubborn tree limbs up to 7.5-inches thick. It comes with an 8 Inch Oregon bar and chain which has a self tension mechanism. It extends over 8 feet to provide extra reach without using a ladder. Rubber covered handle for comfortable use. Looking for a perfect tool for trimming tree branches quickly and effortlessly? The Earthwise CVPS41008 8-Inch 6 Amp 2-in-1 Electric Chain Saw/Pole Saw Combo is a great choice. This versatile tool extends to over 9-Feet 6-Inch and comes with a 8-Inch Oregon Bar which is adjustable to 3 cutting angles, allowing you to cut high sections of the tree from various positions. 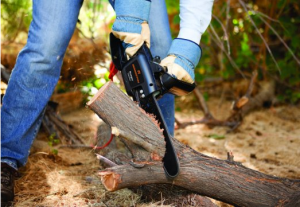 You can also remove the light weight extendable fiberglass handle from the tool and turn it into a powerful chain saw which cuts branches up to 6-Inches thick. Lightweight and easy to use, the Remington Ranger 10-Inch 8 Amp 2-in-1 Electric Chain Saw/Pole Saw Combo is perfect for trimming small to medium-size branches. This tool has a special 10-inch bar and chain design that allows you to cut through overhead branches with less kickback. It can reach up to 10 extra feet with the durable pole construction. Best of all, it changes from pole saw to chain quickly without tools required. Put away that ladder. 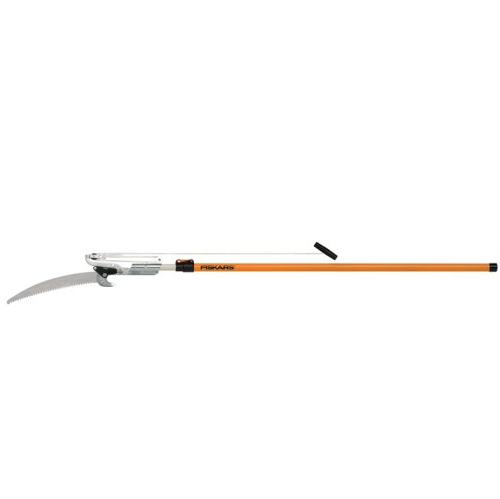 With the Fiskars 9301 Power-Lever 14-Foot Tree Pruner, you can get exceptional reach and pruning power with two feet planted securely on the ground. 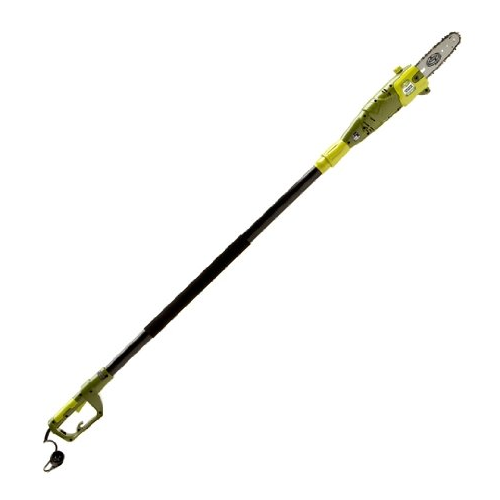 This tool features extendable pole with reach up to 14 feet. 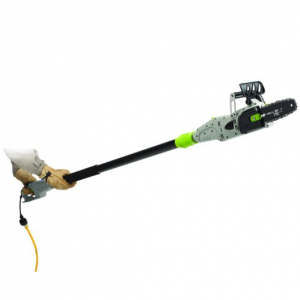 The Power-Lever technology multiplies your strength, allowing you to slice through branches up to 1-1/8-inches in diameter easily with just a tug of the rope. 15-inch Woodzig saw blade also included.